David rudisha today lost a sibling. A blood family member of rudisha passed on today. Harriet rudisha passed on today, she was was blood sister to David rudisha. The cause is still unknown but Kenyans are mourning with Olympic champion at this trying moment. 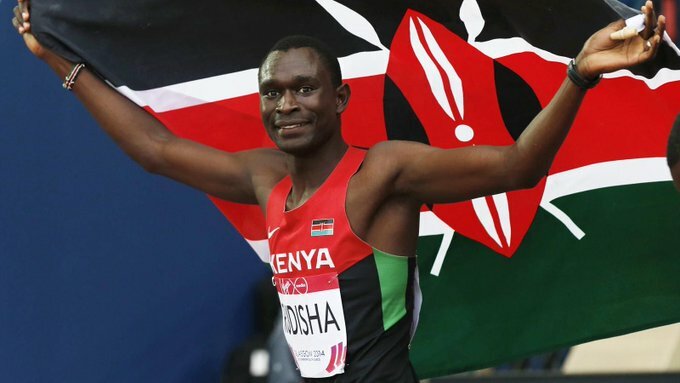 Here is what Kenyans reacted after news of rudisha family member passing on. Rudisha . May the Almighty Lord anchor you in these shaky times. We pray that her Soul Rests Eternally. Rudisha is an Olympic champion and he runs the 800 m race. He currently holds the world record for the race which he broke few years ago. He is one of the most famous kenyan athletes. And. Is loved across the globe.